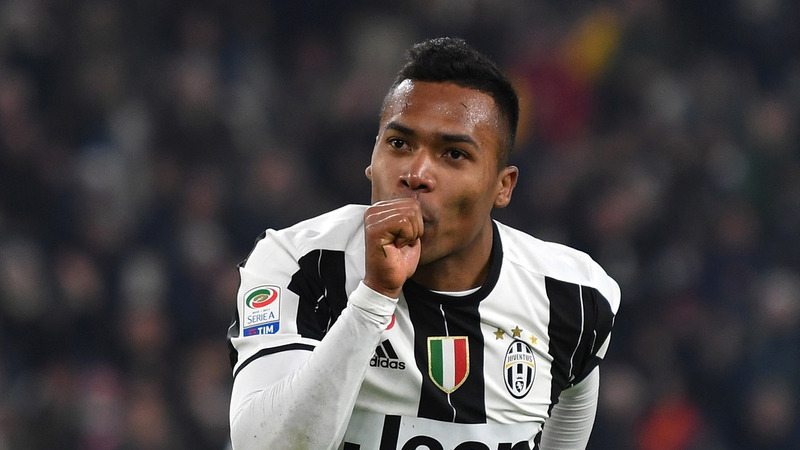 Alex Sandro has told Juventus he wishes to stay at the club despite interest from Chelsea, according to club director Beppe Marotta. The Blues have been heavily linked with a move for the full-back, and appeared set to sign Sandro for a fee of £60 million earlier this summer. However, manager Massimiliano Allegri later confirmed that Juve had no interest in selling the 26-year-old, and Marotta has now claimed that the player has informed Juve of his desire to stay. ‘He said he wants to stay here, so we sent the offers right back where they came from,” he told reporters. The words will come as a blow to Antonio Conte, who has seen his squad thin out over the summer. While Tiemoue Bakayoko, Antonio Rudiger and Alvaro Morata have been signed by the Blues, Diego Costa has been exiled, and the likes of John Terry, Nathan Ake, Asmir Begovic and Nemanja Matic have been sold. Reports suggest that Conte is frustrated with the Blues' transfer window, and former Blue Graeme Le Saux has urged the club to strengthen, particularly in the wing-back positions. "What I felt, even toward the end of last season is that Chelsea might strengthen their wing-back positions," he told Goal in an exclusive interview. "That’s not because Victor Moses and Marcos Alonso aren’t first choice or good enough but I think it is such a demanding and specialist position that it is Chelsea’s one area that they needed to strengthen. "They needed a replacement for Costa and have that. They have Rudiger and the injured Bakayoko as well so another couple of players and getting the injured players back on the bench and in the team will make the squad look better. At the moment, it does look a little bit too thin."